David Grubbs received his B.A. from Georgetown University, and his M.A. and Ph.D. from the University of Chicago. David Grubbs is professor of music at Brooklyn College and the CUNY Graduate Center. At Brooklyn College he also teaches in the M.F.A. programs in Performance and Interactive Media Arts (PIMA) and Creative Writing. He is the author of Records Ruin the Landscape: John Cage, the Sixties, and Sound Recording (Duke University Press), which has been translated into French, Italian, and Japanese. Grubbs has released 12 solo albums and appeared on more than 150 commercially released recordings. In 2000, his The Spectrum Between (Drag City) was named "Album of the Year" in the London Sunday Times. 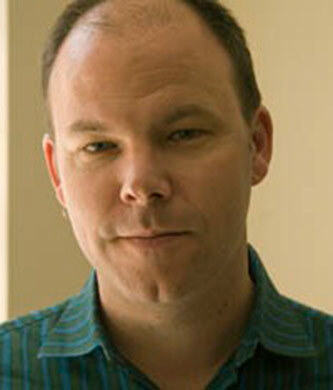 He is known for his cross-disciplinary collaborations with writers Susan Howe and Rick Moody, visual artists Anthony McCall, Angela Bulloch, and Stephen Prina, and choreographer Jonah Bokaer, and his work has been presented at, among other venues, the Solomon R. Guggenheim Museum, MoMA, the Tate Modern, and the Centre Pompidou. Grubbs was a member of the groups Gastr del Sol, Bastro, and Squirrel Bait, and has performed with the Red Krayola, Will Oldham, Tony Conrad, Pauline Oliveros, Loren Connors, and many others. He is a grant recipient from the Foundation for Contemporary Arts, a contributing editor in music for BOMB Magazine, director of the Blue Chopsticks record label, and a member of ISSUE Project Room's board of directors.